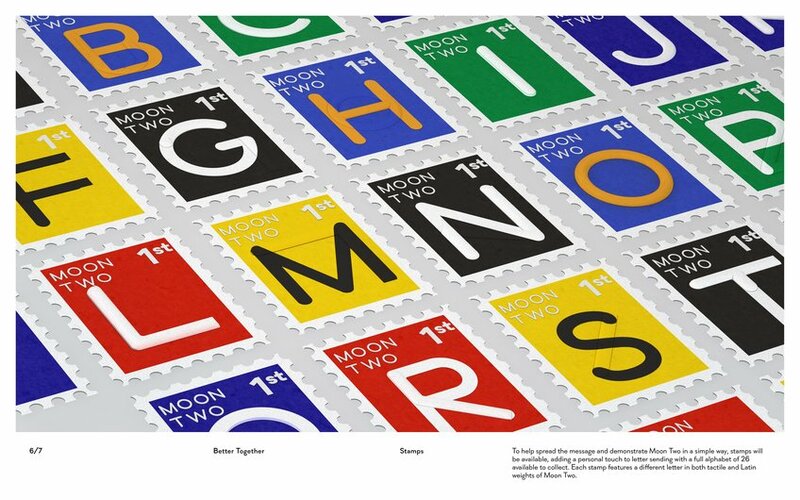 This is a redesign and revival of Moon Type, originally created by William Moon in 1845. 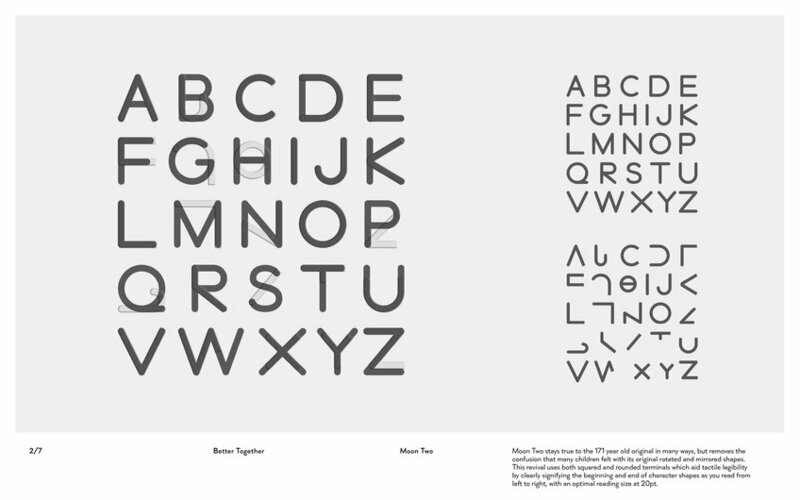 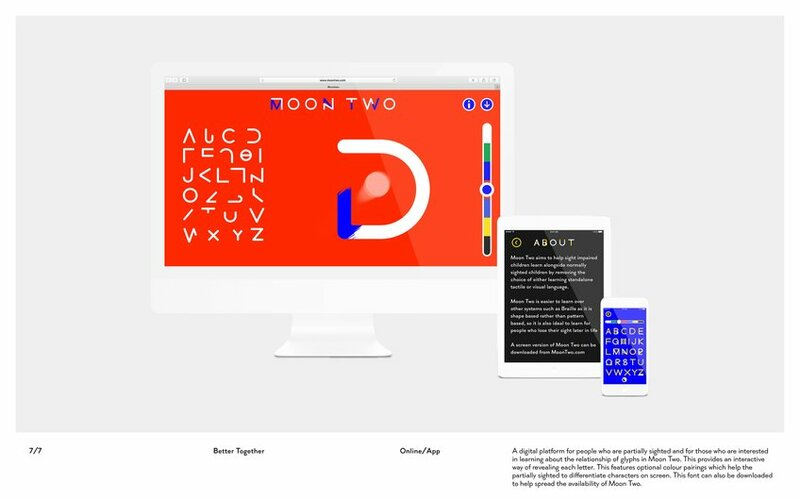 The new version is designed alongside a custom Roman script which together form Moon Two, which aims to bridge the gap for children with normal sight and those who are visually impaired, who are often required to choose either visual language or a tactile alternate at the early stages of education. 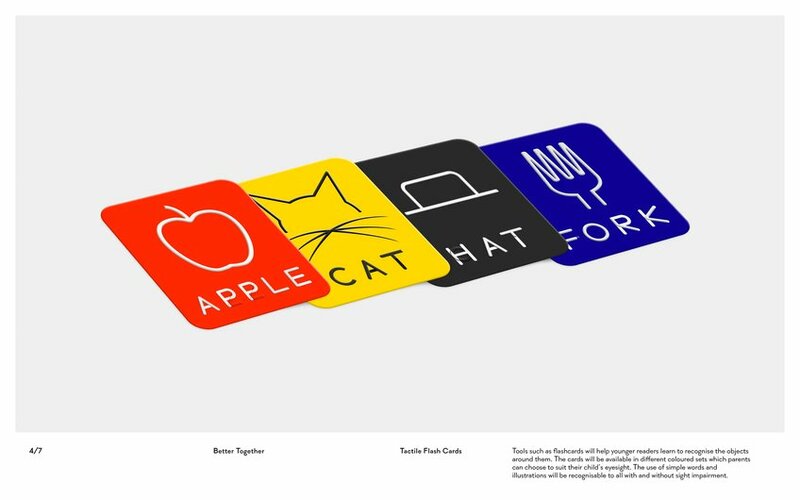 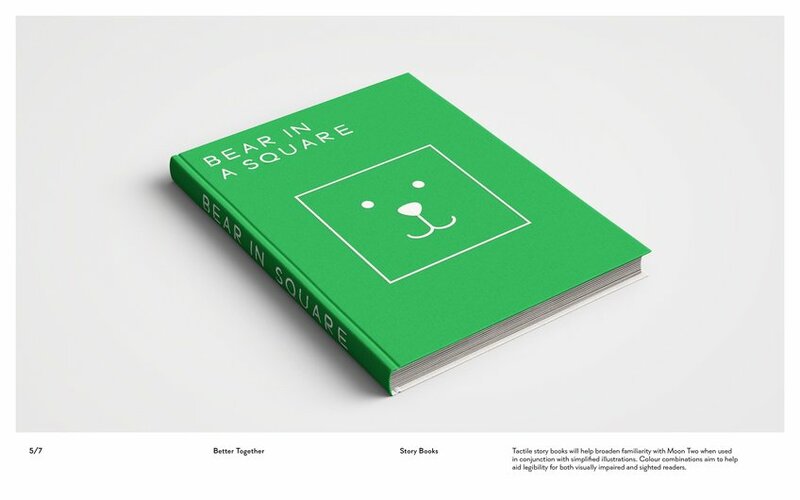 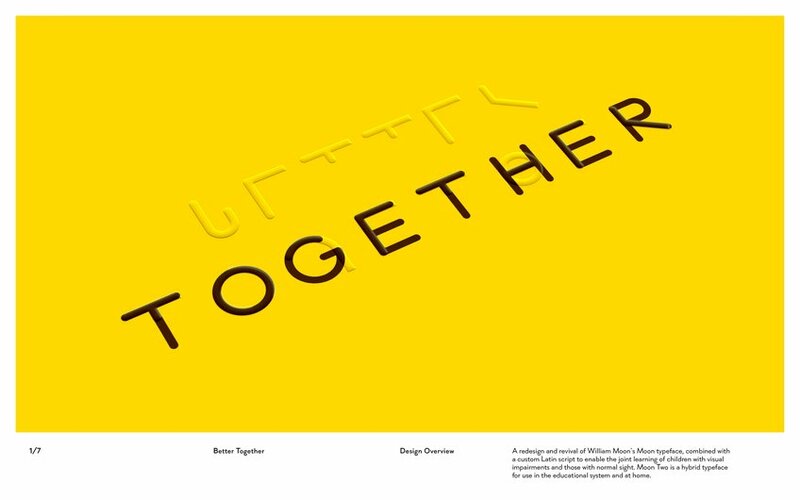 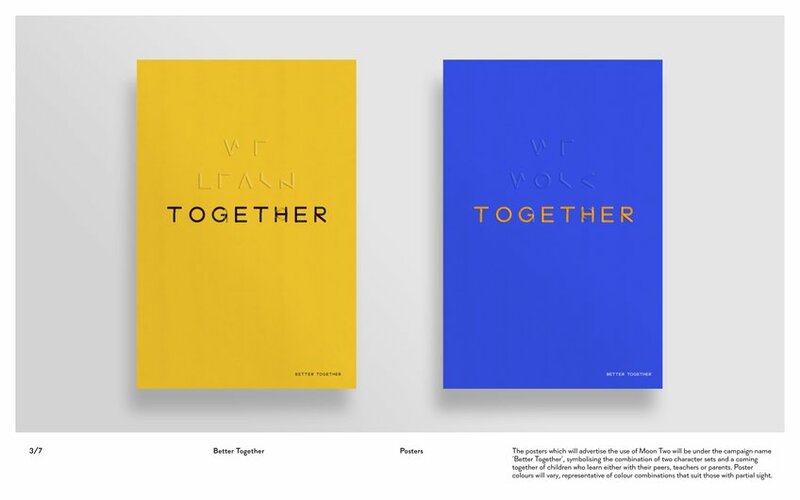 The Better Together campaign showcases Moon Two's legibility for sight impaired children and those who lose their sight in later life, using shape as a structure, over patterns such as Braille.